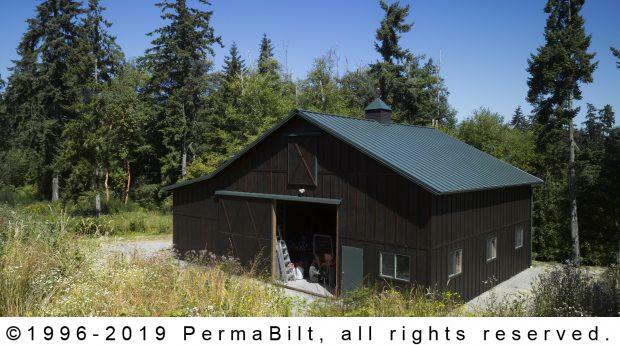 Once we finished his barn garage, he liked it so much he bought another building from us! Don’t judge a book by its cover. 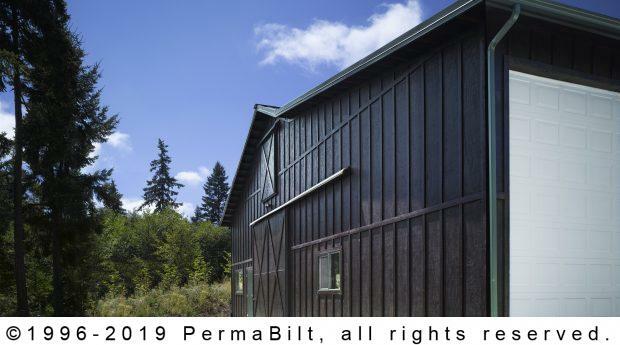 In this case, don’t judge a barn as a barn. 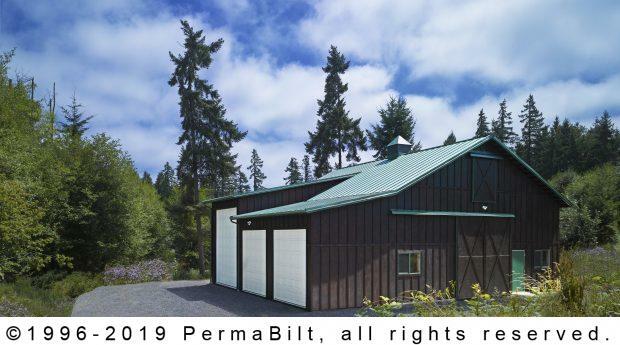 It’s actually a garage meant to look like a barn. 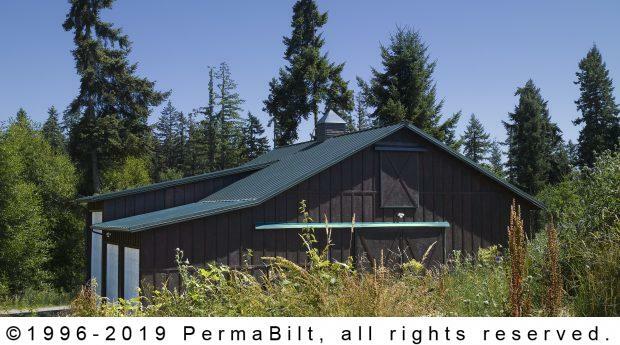 Our very busy Vashon Island Washington customer came to us with his idea of constructing an RV storage building and 2 car garage that looked like a pole barn. 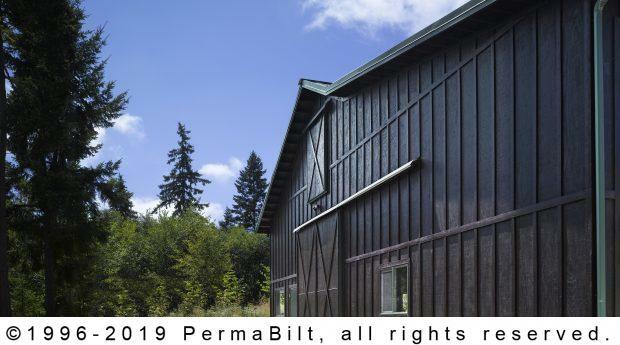 On the side facing his house, the barn garage would have a sliding door and non-operational hayloft door. On the other side leading to the road, were garage doors for their RV storage and 2 cars. In addition, he wanted a shop to repair and upgrade his vehicles. In the end, he chose us as his construction company because he liked our professionalism. 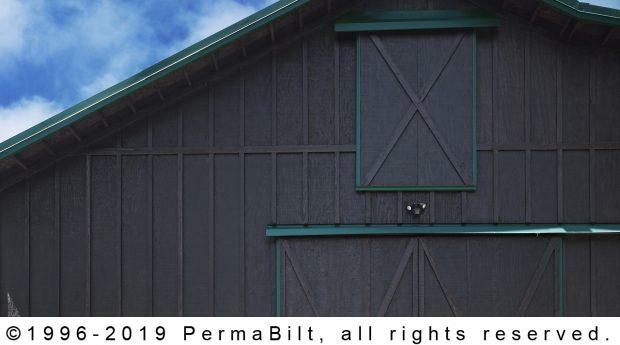 As the building got underway, it was clear that PermaBilt® prided itself in craftsmanship including what goes into their sliding doors. Each door is constructed on site Doors come standard with aluminum side rails, aluminum bottom guides, handles and latches. All hanging hardware was made of galvanized steel which is designed to handle a 400-pound load.